This bright and colorful mini bulletin board is perfect for creating job charts, class schedules, center groups, word walls, or displaying student work. Header piece is 20-1/2" x 5-1/2". 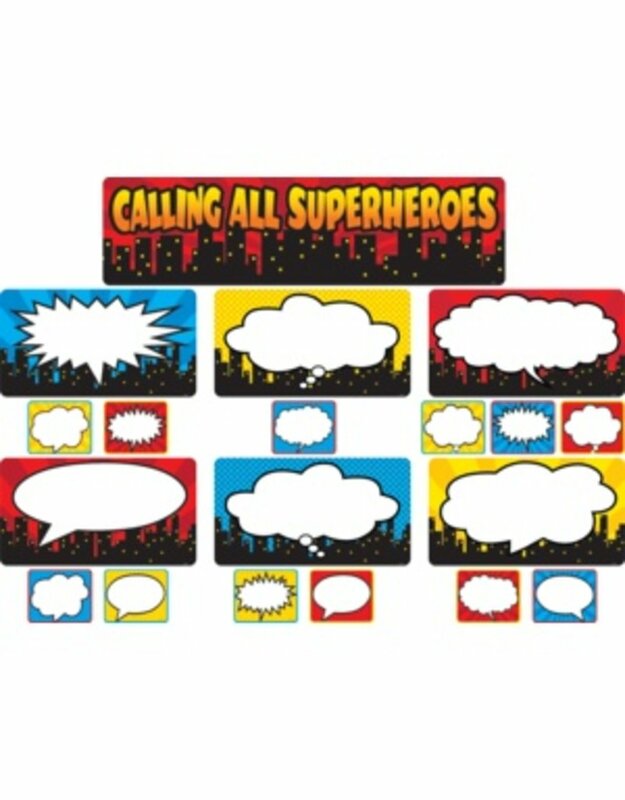 Includes 8 large blank label pieces and 36 smaller blank label pieces. 45 total pieces.